The Dominator Safe FX Series safes are ultra-high security safes, designed to resist high intensity cutting, drilling and torch attacks. The body and door are fabricated with engineered steel formwork, before being filled with a unique concrete barrier material at high pressure, giving maximum strength and resistance to even the toughest attacks. The only Australian safe to achieve both the Underwiter’s Laboratories UL-TL30x6 certification and the CNS 105 minute fire certification, the FX Series is the ultimate solution for high value cash, jewellery and firearm storage applications. 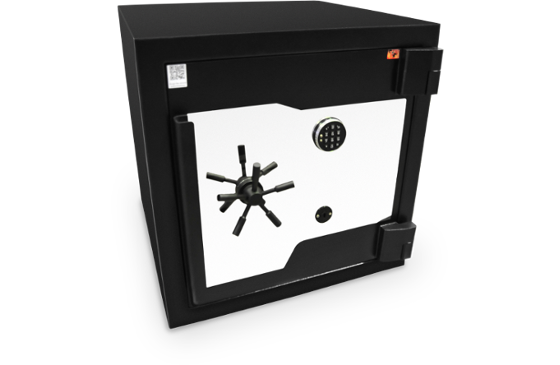 The FX-140 provides over 400L of ultra-high security storage. 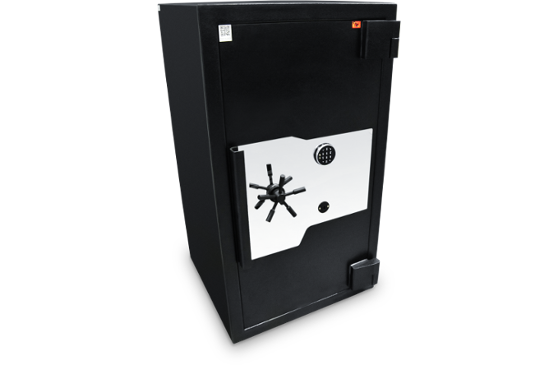 The body and door are fabricated with anti-grinder, anti-drill and anti-torch properties, making it the ultimate in burglary and fire resistant safes.